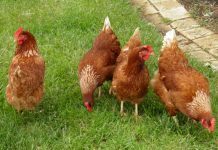 Some of you may have noticed a number of children searching the Public Park and surrounding areas. 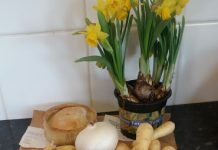 This is thanks to a new adventure called Auchterarder Rocks. 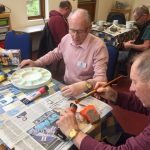 The idea is to find decorated stones hidden in the local area. Take a photograph of yourself to record your find with the rock and then hide it again for someone else to find. 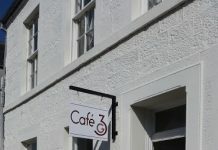 Then you can publish your photos on the Facebook page and let people know you have rehidden the rock. 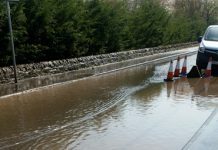 This is a great way for children to get out and about in the good weather whilst looking for the rocks. They are also welcome to paint more rocks and hide them in the surrounding area for others to find. 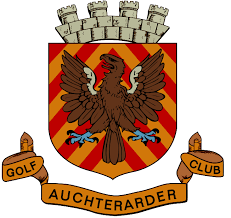 All that is asked is that the wording “Auchterarder Rocks FB” is placed on the bottom of the stone. 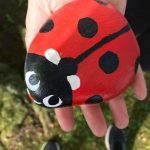 The Auchterarder Rocks Facebook page is filled with pictures of youngsters getting out and about in the local area to find the rocks and hide them again. 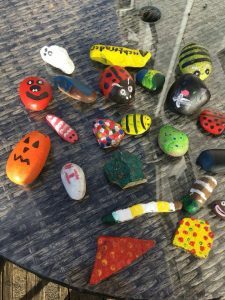 Many people have decorated rocks to add to the craze and in Auchterarder it has gone intergenerational. 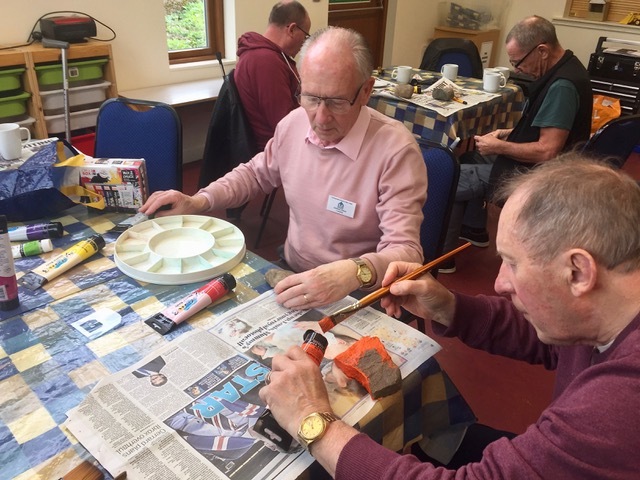 The Auchterarder Mens Shed heard about Auchterarder Rocks and knowing that busy mums may struggle to find time to do rock decorating, decided to help. Although I am sure that the chance to mess about with brightly coloured paint may have had a lot to do with it. They have painted a number of rocks and will be hiding them on the Provost and Jubilee walks in the near future. You will be able to recognise these rocks as they have a small image of a shed to help identify them. 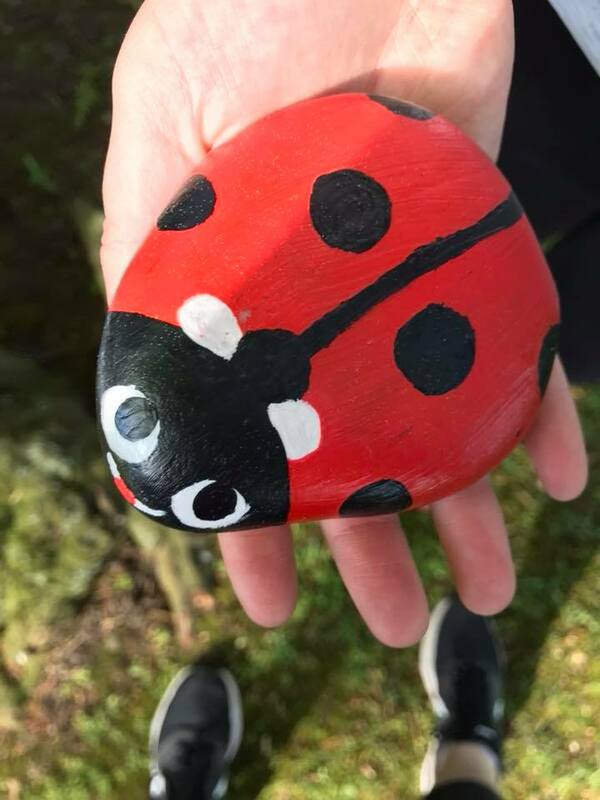 The Auchterarder Rocks group would like to encourage as many people as possible to get involved by finding and rehiding rocks or to decorate and hide some rocks locally. Why not give it a try?